A home is the largest purchase most people will make in their lives, which is why it’s so important to protect your investment. Good homeowners insurance is the best way to do this. So why do some people decide not to bother with homeowners insurance? Often it’s just because they don’t know why it’s so important or what it covers. Even if you’re renting, your landlord’s policy probably won’t cover your possessions if the worst happens—so it’s a very good idea to take out a policy yourself. 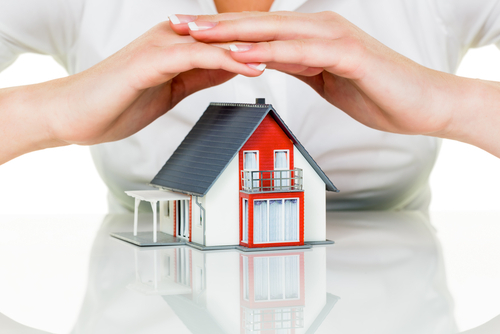 Even if you already have homeowners insurance, do you know what it covers? Have you reviewed your policy lately to make sure it fits your current needs, or do you still have the same one you got when you first purchased your home? The first step in making correct decisions is to get educated. Here are some things you need to know about homeowners insurance (but probably don’t). First of all, why do you really need homeowners insurance? In the event of damage to your home or its contents, or an injury that occurs on your property, this is what helps you deal with the financial consequences. Homeowners insurance usually covers certain natural disasters like tornados and lightning damage, as well as other issues like theft and vandalism. When you’re dealing with a worst-case scenario, it’s what helps you get back on your feet as soon as possible. When you get a mortgage, you have the choice to find your own homeowners insurance or let the mortgage company pick one for you. It’s much smarter to do your own research and choose for yourself, since the bank is protecting their investment and will probably pick out an expensive policy that doesn’t necessarily meet your needs. It’s all too common for homeowners to assume something is covered by their policy, and then be shocked to discover there are lots of exceptions. It’s important to know exactly where your coverage ends. This will prevent nasty surprises, and it also allows you to add optional coverage if you need it (for example, if you’re in an area that’s prone to flooding, you’ll probably want to purchase separate flood insurance). Water damage is sometimes covered and sometimes not, depending on the situation. It’s best to review this thoroughly with your agent ahead of time. Find out if some of your items need additional coverage. If you have particularly expensive items, like jewelry or collectibles, these may need a rider on your existing policy to be fully covered. You’ll need an accurate appraisal of the current value, so this is a good thing to get done if you haven’t already. Most people don’t realize that their homeowners insurance policy may cover mishaps that occur around the house. If a piece of furniture or electronic equipment gets damaged in an accident, it’s possible that your policy might help cover the cost of repair or replacement. It can even sometimes help with cleaning bills for things like spills on the carpet. There’s more to think about than lowest price. Don’t just sign up for the lowest cost policy you can find without considering all your options. Find out from friends or family (or even internet reviews) what kind of customer service you can expect if you have to file a claim. Those cheap premiums won’t mean much if you have to spend months and months chasing down an unhelpful insurance company. Have proof of your possessions. When you’re making a claim, nothing helps your case like proof that you owned what you said you owned. Luckily, this is easier than ever before. Use a digital camera (or even your smartphone) to take photos and/or video of each room in your home, zooming in to show all the details. Make sure you go over your homeowners insurance coverage and options with your agent. You’ll have the peace of mind that comes from knowing you’ll have help and backup if the worst happens.